Stencil 101 -- Customization is king. 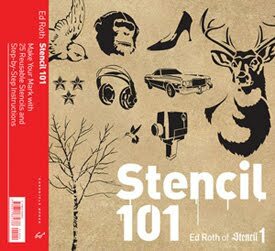 With this awesome, entirely original stencil collection anyone can learn to make their mark. 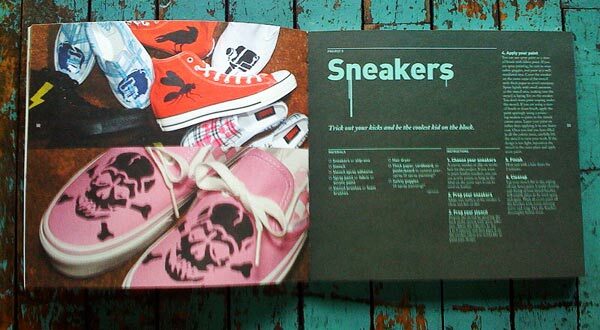 Our handy portfolio format includes 25 reusable stencils along with tips and tricks for stenciling on all sorts of surfaces—from walls and furniture to T-shirts, cards, and even cake! Stencil maverick Ed Roth has chosen his favorite designs, ranging from urban-cool boom boxes and power lines to naturally fanciful sparrows and branches. Simple instructions take readers step-by-step through the process while photographs provide ample inspiration. 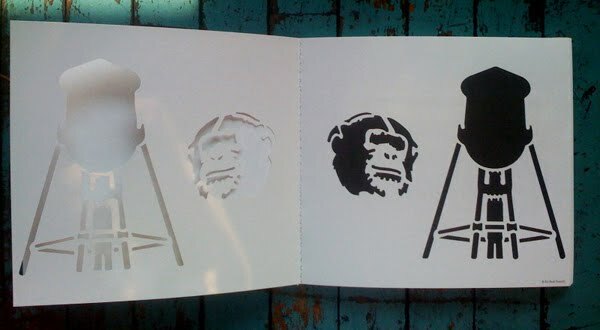 Best of all, these stencils can be used over and over again. Simply clean, dry, and store them in the pocket glued at back! 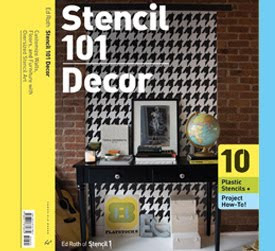 Stencil 101 Decor -- This portfolio of reusable stencils, project instructions, and photographs lets DIY designers embellish walls, furniture, and more with cool custom patterns. Whether it's glam chain motifs on a wall or bold geometrics on a bathroom backsplash, these durable and recyclable stencils make a big impact. Each design is meant to be tiled—simply line up each corner's registration marks to get a paint-your-own wallpaper effect. It's a quick, unique, affordable way to achieve the latest look in interior décor. 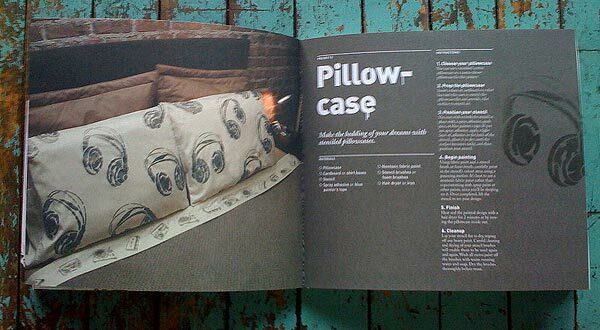 Graphic designer Ed Roth founded the business Stencil1 in Brooklyn in 2005. 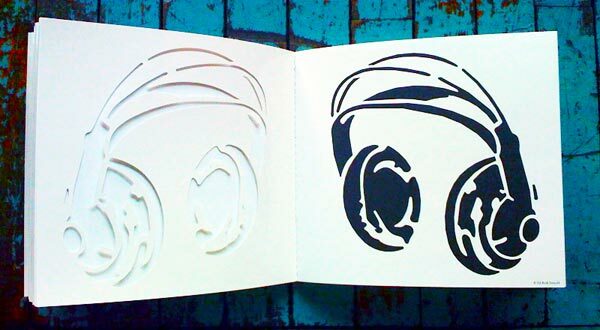 His iconic reusable stencils have been praised by many, including Martha Stewart, ReadyMade, and the New York Times.